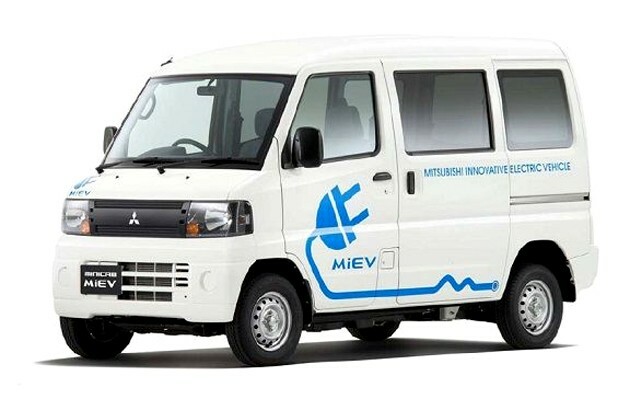 Mitsubishi Motors Corp said the prices of its two types of electric minivehicles for business use due to be marketed later this year will start at some 1.7 million yen (US$20,000) and 2.05 million yen ($24,000), respectively. The company began taking orders on Friday for the Minicab-MiEV based on the Minicab Van, claiming it will be the first business-use EV to be sold by a major automaker. It set the prices on the assumption that the government program for promoting eco-friendly vehicle purchases will remain in place. Mitsubishi Motor said it can release the Minicab-MiEV models lower-priced than its electric passenger car i-MiEV, at 2.84 million yen (US$33,750), as production of electric vehicles has increased. The $20k priced model of the Minicab-MiEV runs a 10.5 kWh battery while the $24k has a 16 kWh, both with Toshiba's SCiB battery. 10.5 kWh gives a range of around 100 km/charge under JC08 mode conditions and 16.0 kWh a range of around 150km.